Almost finished Center will soon open doors for employees and almost thousand clients. Still open ceiling tiles reveal the huge number on cables and technology needed for the functionality and safety of the Social Service and Health Care Center. Since 1987 Kankkunen has been working with RF technology and he probably knows better than anyone else about implementation of an indoor coverage network as well as the requirements behind the solution. “According to the architects plan, the big antennas should not be sticking up from the ceilings” – remembers Heikki. "On the other hand, the broadband network requires them." 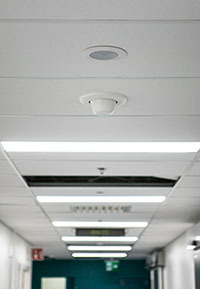 Orbis provided an antenna pattern which was possible to install discreetly in the ceiling by the mounting structure, so that the emerging section of the antenna is not bigger than a surveillance camera. "The architect was reportedly very happy," smiles Kankkunen. The lead walls of the Health Center created also difficulties. 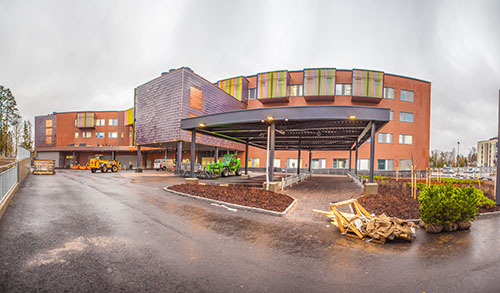 Fortunately, Kankkunen has a wide experience with healthcare sites, so that surprises were avoided also this time. 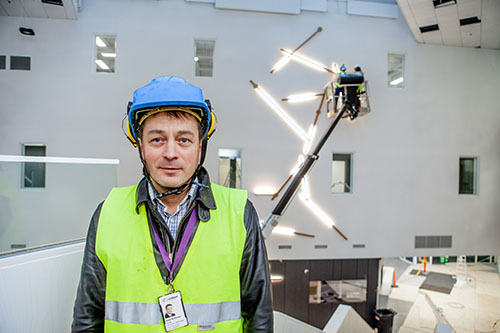 Both the commercial mobile phone and the Public Authority network’s backbone in the building are base stations of three mobile operators (DNA, Elisa, TeliaSonera) and TETRA. 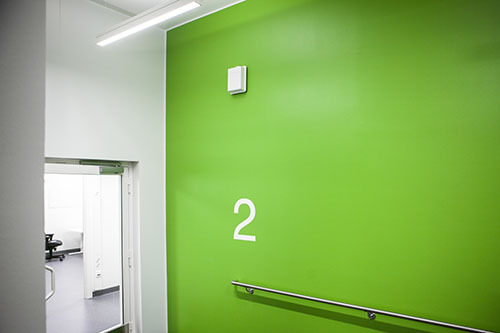 The power from base stations is distributed by passive dividers to the antennas mounted in different floors and staircases. The parking hall in the basement is operated by a leaking cable.